Online shopping is booming, but there are many people who still prefer to buy from local stores. What do you when you want to buy something from a store near you? Visit the nearest shop. The problem arises when the product is not available there. You need to visit other shops where you could expect availability. This is where Mapprr helps. Mapprr is a product discovery website where you can locate a product’s availability around you. 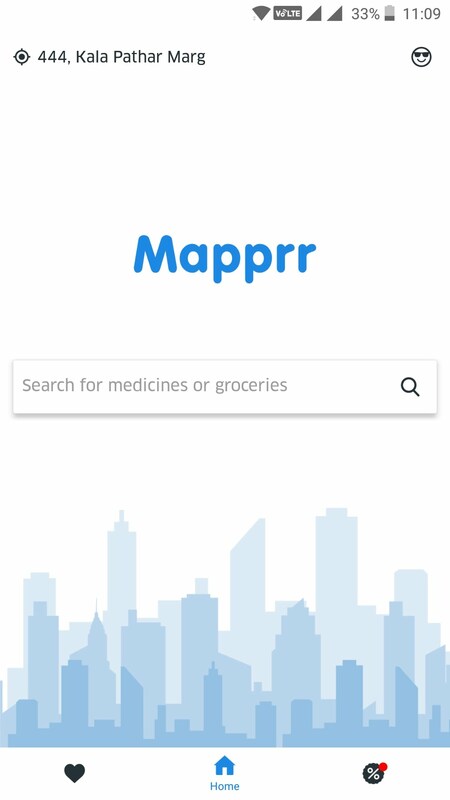 For now, Mapprr works for medicines and groceries, but they are working to add more categories of products. You can look for medicines and grocery items to see where it is available. They have a website but installing the app is better way of searching something. When you first install the app, you need to create an account with basic information. Then it detects your current location. It will be shown at the top left side of the app. In case you want to change location, you can always tap there and enter a location manually. There is a search box to look for items. The search suggestions help in searching for an item. 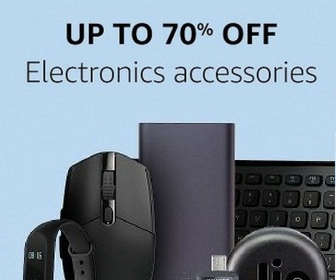 It shows all the shops near you with the product in stock. You have option to call and locate the shop on map. So, you can always call to verify if product is available before reaching there. 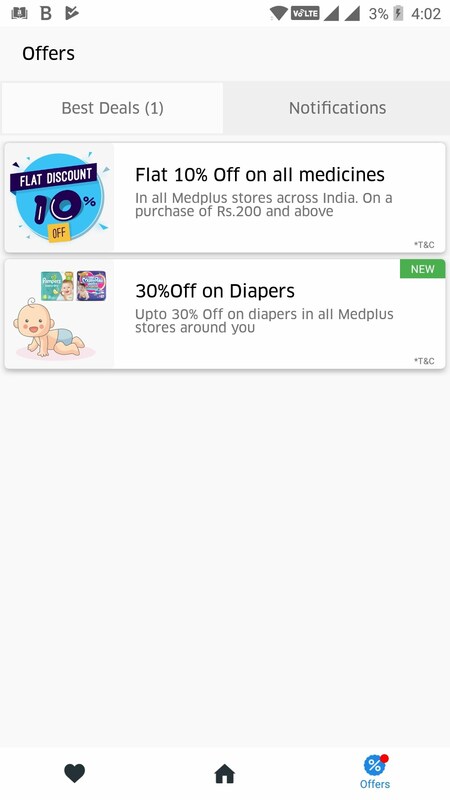 There is also a section of offers where you can find the recent offers on medicines and other items they serve. So, you can also get discount and save money by this app. It also keeps the record of your recent searches. I didn’t find any option to clear the search history. I think this option should have been there. They are operating in all the tier 1 and few tier 2 cities. For few cities like Hyderabad, Bengaluru, Pune, Mumbai and Delhi, they offer more results as they have more offline store data to show. I tested the app to look for items around me. For my location, they have just medicines to offer. 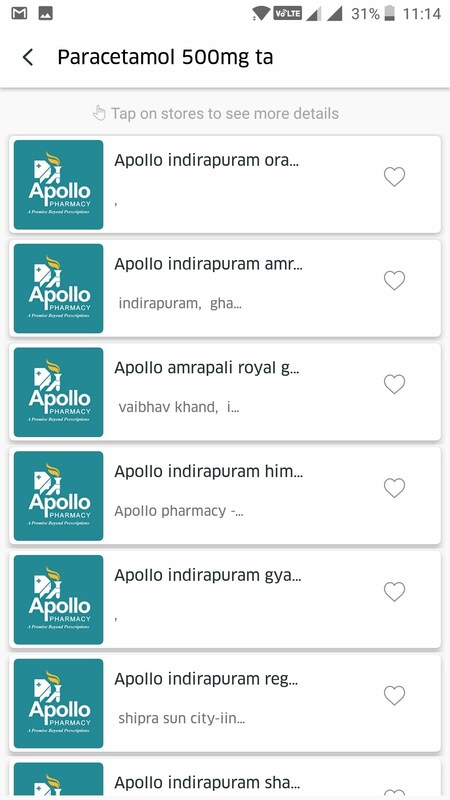 I found results from Apollo and MedPlus stores. 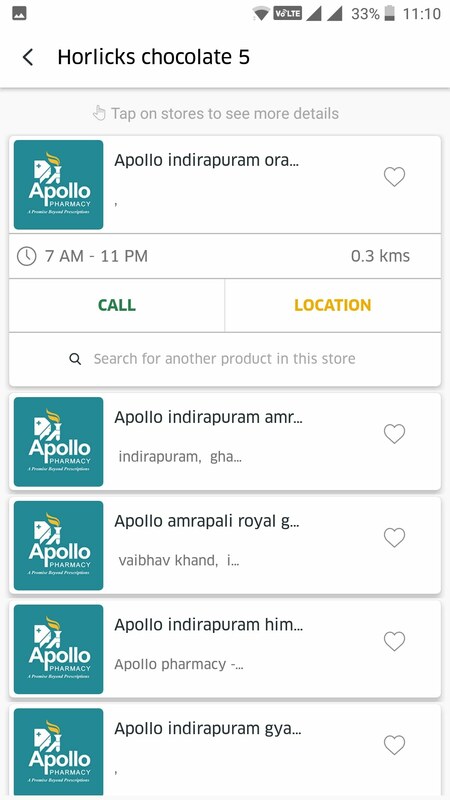 If you are looking for an app to save your time and efforts, you can try Mapprr to find availability of medicines and groceries near you. The app is easy to use with minimal options. There is no confusion. The app just ask for location and SMS access permission. SMS for mobile phone verification via OTP. If you care for your privacy and security, the app has nothing suspicious. So, you can install the app and see if it helps you in looking for things around you.